DENVER, Colorado (August 13, 2017) – Manuel Senni’s (BMC) bold breakaway in the third stage of the Colorado Classic turned out to be the deciding factor in the inaugural professional bike race, as the 15-second lead he brought into Sunday’s fourth and final stage held and he rode away with the Gates General Classification jersey as the overall race winner. The win in the Colorado Classic will go down as the first GC victory for the 25-year-old Italian rider. Senni said the win here was an important victory that would boost his morale for the end of the season and next year. Serghei Tvetcov (Jelly Belly p/b Maxxis) finished in second overall, but walked away from the race with two jerseys: Colorado Tourism King of the Mountain and ACURA Best Colorado Rider. Tvetcov, who trains in Boulder, finished third in last week’s Tour of Utah and joked that perhaps a third-straight week of racing would continue the trend and lead to an overall win. “This is the first time in my career I finished on the podium without a time trial,” he said, calling Saturday’s stage win the biggest victory of his career. Sunday’s race saw four riders make a break from the peloton on lap 1. The foursome were 15 minutes or more behind the overall leader, so posed no serious threat to the rest of the field. They were reeled in by the field by the final lap and, in a furious sprint to the end, Mihkel Räim (Israel Cycling Academy) Travis McCabe (United HealthCare) and Jose Alfredo Rodriguez Victoria (Elevate-KHS Pro) finished on the podium in the first, second, and third spots, respectively. Stage four sent riders on a 7.5-mile (12km) city circuit that stretched from the RiNo neighborhood to City Park and back. Riders raced 10 laps in the final stage, for a total of 74.6 miles (120.1 km). Overall, pro cyclists in the inaugural Colorado Classic men’s race covered 313 miles (503.5 km) and endured more than 20,000 feet of intense, high-altitude climbing. The event marked the return of pro cycling to the state in a format intended to broaden the sport’s appeal by featuring circuits that provided repeated opportunities for fans to see the riders and racing action up close. For stages 3 and 4 in Denver, the race was included in a three-day festival and marketplace in the River North Art District dubbed Velorama. "We've hosted tens of thousands of cycling and music fans this weekend in Denver, with many more on the road throughout the past four days. It's been a great first year and we're looking forward to capitalizing on our momentum,” said David Koff, CEO of RPM Events Group, the organization formed to put on the race and and accompanying Velorama Festival. Golden’s Alex Howes (Cannondale-Drapac), who finished third overall, welcomed the race’s emphasis on re-inventing the bike race. RPM Events Group Chairman Ken Gart said organizers are planning for a second year and intend to learn from both their successes and their failures. Race director Jim Birrell had a similar assessment. “The format that Ken and RPM came up with lends itself to a better spectator experience, better community experience and a better sponsor experience. It’s a better opportunity to see the riders – to be able to cheer riders on to finish line,” he said.  The Colorado Classic is sanctioned by Union Cycliste Internationale (UCI) and designated as a 2.HC race, which is the highest category outside of World Tour races. The Colorado Classic is also part of the USA Cycling Pro Road Tour, which showcases the premier domestic road events in the United States. The first edition of the Colorado Classic included 96 of the sport’s top men and 84 of the best women pro cyclists. A field of 16 men’s teams and 15 women’s teams competed in the return of pro cycling to the Centennial State. Canadian Sara Poidevin (Rally) pulled away from the women’s field in the second and final stage of the women’s Colorado Classic on Aug. 11, winning the Gates General Classification Jersey and the honor of being the race’s first-ever winner.